Fort Benton is known as the birthplace of Montana. It was established as a fur-trading center in 1847. 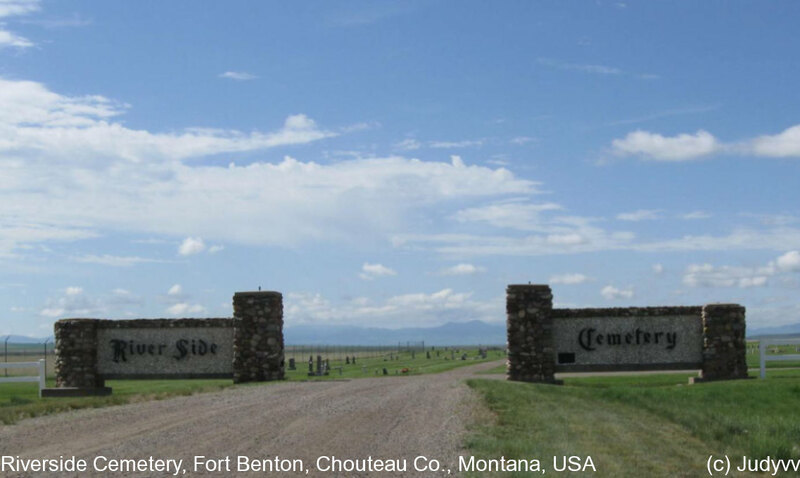 Riverside Cemetery is one of the oldest cemeteries in Montana.. The early records are not complete and the records that do exist are very hard to read. Burials were moved from a cemetery closer to town and those records are not complete. The courthouse for Chouteau Co. burned in the late 1800's and many of the records were lost and cannot be checked. There was a small "potters field" cemetery outside the gates of the cemetery. In the 1970's a group of Boy Scouts decided to redo the markers. They took up the markers but never completed the project so there are now no markers in this area. There is no way to make a complete record of the burials in this cemetery.